Fear is an emotion that everyone is familiar with because everyone is afraid of something in their life. There are some fears that you have as a child that you may have outgrown now, but that doesn’t mean that right you are not afraid of anything. It is a part of life and is considered as healthy part as it helps kicks in your natural instincts. Fear is considered as healthy but in moderation but if it starts taking over your life, there is a problem. Fears arise from instances or instincts; where you are afraid of something because something has already happened to you and it had negative connotations on your life. In terms of instinct, you are afraid because you know it something that can cause you harm. Fear can also arise from lack of knowledge, such as a lot of people fear death because they don’t understand or they don’t know. This fear arises from not knowing, rather than experience. There are a few ways that one can conquer their fear and overcome it so that it doesn’t rule your life. 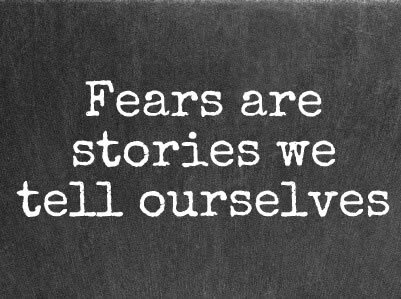 Acknowledge Your Fear: Everyone is afraid of something, don’t deny it. The more you deny, the more you hinder yourself from overcoming. Accept that you have a fear and that you are afraid of that particular thing. As in overcoming everything in life, you have to first acknowledge that the thing exists. It is the same with fear. Understand the reason behind it: The best way to overcome fear is to understand why you are afraid of that thing. If it is heights, why do you fear heights? If you are scared of spiders, why? Was it because you had a bad experience with the situation before? Or is it because you don’t understand how the situation works? While, it may not help you completely rid yourself of the fear, it can help you overcome to the point where it doesn’t cripple you and that you can live with the fear. Establish Small Goals: Break down your overcoming process in small goals. For example, if you are afraid of the dark, try sitting in a room with little lighting. Progress to reduce the lighting to the point where you are sitting in the absolute darkness. Try to sit in the darkness for a little while and then increase the amount you spend in the darkness. Starting small helps you understand that there is not much to fear when you put your mind to it. Desensitize: Read up and learn everything about your fear. You can even consult a professional that can help you understand where this fear comes from. Once you learn everything you need to know, instead of being scared of it you will start becoming fascinated about your fear. Visualize Confrontation: The best way to face a certain situations is to plan it in your mind and then visualize what you would do if you ever came across it. If you imagine kicking the fear’s behind in your dreams, it will give you the confidence to kick it in real life. Try Confrontation: Ride that adrenalin rush and actually try confronting your fear fully, head on. Try to fight the fear and achieve success even if it is a small one. The more times you fight, the easier it will get each time. Keep fighting and don’t give up! Celebrate Victories: Celebrate all your victories against your fear, even if it is a small one. The celebrations can help motivate you to fight harder next time. Go big if you have completely overcome your fear and it is no longer something that handicaps you, because that is a huge deal! These methods may not work for everyone and while a lot of people can use them to help fight and overcome their fears; there are a few people that may require professional help to understand their fear and how they can overcome it. Do not shy away from professional help and it is nothing to be embarrassed about as long as it can help you lead a full life.